This smart little old map of Liverpool shows the central part of the city at the end of the nineteenth century. It takes in nearly all of the built up area on the east bank of the Mersey. The striking thing about the Liverpool of 1895 is how packed the streets are, even a distance from the centre. 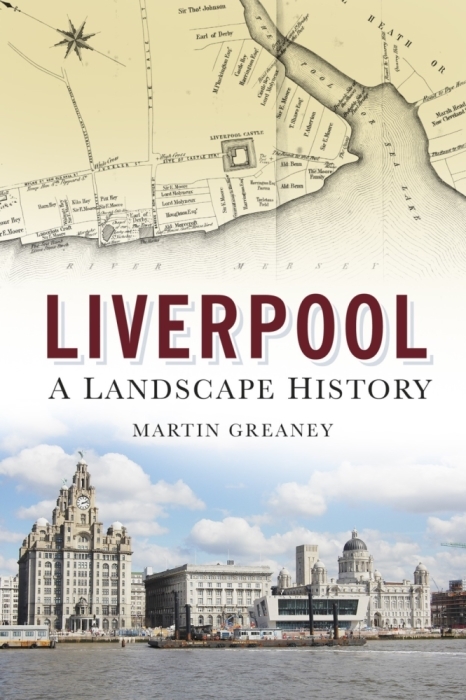 The growing and popular suburbs – Anfield and Everton – were changing from their time of large villas to a time of dense terraces. At this time the city was beginning to realise the problems that such population increases were posing for its inhabitants. These problems – pollution and disease – were particularly pressing for poorer people, and the council and wealthy merchants looked for a solution. This map shows the three large parks which were placed on the edge of the urban area: Stanley, Newsham and Sefton. These were the famous ‘green lungs’ of Victorian Liverpool, and continue to be popular to this day. Liverpool is at its densest, before any slum clearances had taken place and well before the Luftwaffe did their work nearly 50 years later. For that reason we see all of the landmarks that still loom large in the collective memory: the Workhouse on Brownlow Hill, St John’s Market (the original) on Great Charlotte Street and the railway stations surrounding the centre. The London and North West Railway’s goods station sits close to Wapping Dock. Exchange Station (of the Lancashire and Yorkshire Railway at this time) snakes in from the north to Tithebarn Street. Central Station on Ranelagh Street is a much more prominent building than it appears today. One of the greatest uses of this map is the detailed labelling of the dock estate. It names over 30 docks and associated basins from Toxteth in the south to Hornby Dock near the mouth of the Mersey. Goods are mentioned by name, such as the Timber Yard and Quay at Canada Dock, the Tobacco Warehouse at King’s Dock and the Shipbuilding Yard at Brunswick in Toxteth. We’ve seen the stations which the map displays, but the lines themselves are just as prominent. Most of the rails curve around the boundary of the city, like the London and North Western Railway in the east, and lines through Garston and Kirkdale. One prominent exception is the main line into Lime Street Station, and of course the line to Liverpool Central.